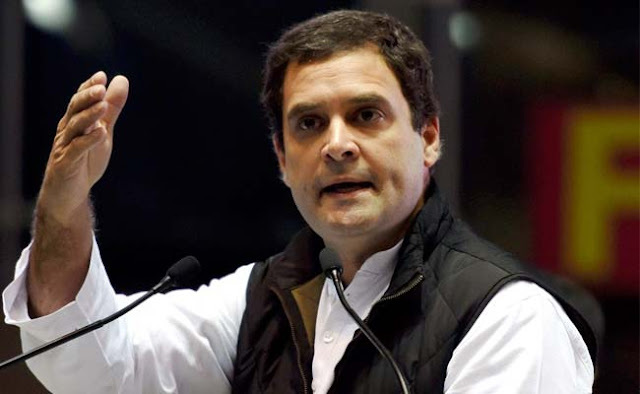 Rahul Question Modi: Choosing Reliance For Jammu & Kashmir Mediclaim: Rahul Gandhi has questioned the agreement between Anil Ambani and Reliance for the mediclaim of government employees in Jammu and Kashmir. Rahul said in his tweet on Saturday that with the help of the Center, Anil Ambani will now benefit from health insurance. Referring to rafale deal, he repeated the charge of supporting Anil Ambani on Prime Minister Modi. The deal with the Reliance General Insurance Company is arguing why a private company was chosen for the scheme for government employees? Congress leader Salman Nizami called it a coalition of Modi-Reliance. Terming the allegations of the Congress as baseless, the Jammu and Kashmir government said bids were sought from all government and major private companies. In the second phase, 9 companies got the offers. On September 20 the Jammu and Kashmir government issued notifications. According to this, health insurance is mandatory for government employees. However, it is elective for pensioners, contract workers, and certified journalists. The health insurance scheme will be applicable for one year from October 1. For employees, the annual premium is Rs 8,776 and pensioners are Rs 22,229.